Figuring out the ins and outs of your insurance policy can be difficult - mostly because there is so much important legal information and confusing small print to consider that you sometimes don’t end up with the same level of insurance that you think you have. And what’s more, you might be paying more for cover that you're not getting! Read on to find out some of the most important things to consider when getting insurance. Fairly obvious you'd think, but surprisingly, a lot of people don't bother. When you contact an insurance company for a quote, they will want to give you as competitive a quote as possible, but when you get the actual policy through the post – sometimes cover that you asked for has been removed to keep the price as it was originally quoted. 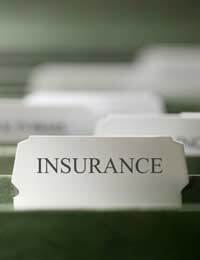 Take this example : You ring an insurance company and give them all your information to get a life insurance quote which you are advised will be at a price of £25 per month. However, when you get the policy through, you go to sign and realise that the actual cost of the policy has gone up to £35 per month due to various ‘additional’ clauses. This usually relates to height and weight ratio, or perhaps previous illnesses that were disclosed at the time that the quote was obtained. What happens is that after the initial quote is given, the application will then have gone through to an underwriter who will add on any additional costs, sending out an amended plan. Lots of people receive their documents in the post and just assume that they are as described on the phone, and send them back without checking. Alternatively, you may receive a quotation along with your policy which has had some of your requirements removed to keep the price as it was originally quoted to you. You’ll likely only find out that you haven’t got that aspect of your insurance if and when you actually need it – so it’s imperative that you read through the whole policy and make sure that everything is correct before you sign it and send it back. Single Trip or Annual? You can get some really fantastic travel insurance deals at the moment as prices have really come down over the last few years. Check the kind of policy that you’re signing up for is really the one that you want – single trip insurance may well seem cheaper in the short term, but if you’re planning on going away again within the same 12 month period, then you’ll often find savings can be made by paying for a years worth of insurance. You might find a great deal and sign up for it without realising that the insurance is applicable only to people travelling within a certain area. Make sure where you are going is covered, and if you are going to more than one place, make sure that this is ok and that you are covered while you are travelling between places. Some insurance policies will want to know exactly where you are planning to go, while others will be more flexible. If you’re going skiing, snowboarding or taking part in watersports, bungee jumping or anything else that can be classed as ‘extreme’ or ‘dangerous’, you need to make sure that you are covered while doing so. So many people are stranded each year because they didn’t realise that their insurance didn’t cover them, and end up with huge medical bills and problems getting home if they are injured. It will cost you a fair bit more than normal holiday insurance, but you’ll realise why if you have to use it. One of the most overlooked things in car insurance policies is the clauses pertaining to modifications. If you make modifications to your car and don’t advise the insurance company, then you’ll likely find out that they won’t pay up if you make a claim. To find out what they class as major modding, you’ll need to check your policy. Pet Insurance policies can be quite tricky and this is one of the reasons why: Pet Owners sign up believing that if Rex is diagnosed with an illness in future, then the insurance company will pay for his medication and treatment. This is true up to a point but some policies will pay up to a certain amount for a particular type of illness in a 12 month period and after that period is up and the insurance is due to be renewed, the illness is then classed as pre-existing and so is excluded from future policies. So if Rex is diagnosed with a under-active thyroid which requires daily treatment, you can claim for up to whatever the maximum amount you are allowed back is in the first 12 months, but after that, there’s no cover. Some policies will have whole life policies which will include any illnesses diagnosed during the policy cover, but they are generally a lot more expensive. The above pitfalls are very common, but they are all avoidable. Making time to check any policy thoroughly, and asking advice on anything you aren’t sure of will make sure that you are happy with the cover you are getting and that you can rest assured that you know what you are paying for.